O’Neil Architecture is a collaboration of the talents of founder Darren O’Neil and the knowledge, expertise and design flair of the O’Neil Architecture team. Located in Christchurch, New Zealand, we specialise in high quality residential design. Our Architecture reflects the needs and dreams of our clients, but is also disciplined and responsive to the site and climate. O’Neil Architecture are regular multi winners at the Resene ADNZ Architecture Awards and are committed to producing exceptional buildings through rigorous application of their design skills. Heading the team are the principal designers Darren O’Neil and David Rea. At Fiona Macpherson Architecture we actively encourage our clients to reduce their footprint on this earth and consider their health by choosing natural non toxic materials where possible. We have experience using different high performance build techniques including SIPS; we hold a belief that investing in your building envelope will reduce running costs, create a healthier home and leave a positive legacy for future generations. We see our role as designer to facilitate a joyful relationship between the client and the builder to create timeless architecture that meets the needs of the occupants. Often for us it is about matching personalities to facilitate positive outcomes. Fiona has 25 years experience in architecture in New Zealand and England. Our small team prides itself on producing concise, clear documentation helped by the move into BIM modelling. We share our 3D and VR models with our clients creating a design tool to foster full understanding and avoid disappointment. This process often results in excitement, enthusiasm and a sense of collaboration for the project ahead. 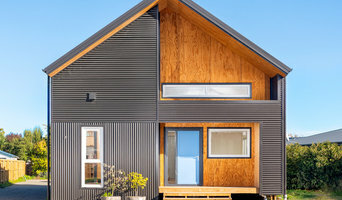 We also act as lead designer for Black Hut Designs - check out our website www.blackhut.co.nz for further information about what we do. Turner Road Architecture is an architectural design company with a difference providing unique, creative building design solutions and project management covering residential new homes, renovations, commercial and industrial building design. They’ll transform your ideas and bring them to life. So whether you’re looking to build your dream new home, holiday house, iconic commercial building or industrial complex, make sure it stands out from the crowd with an original Turner Road Architecture building design. Customkit is a New Zealand owned and operated company with two decades experience and has supplied buildings throughout New Zealand and the Pacific Islands. We are leaders in the design, and supply of high quality, stunning, eco-friendly, natural wooden buildings, in both residential and commercial markets. As we start with an open mind and skill for listening, a Customkit home can truly reflect your unique taste, personality, and lifestyle. Unlike many other housing companies we offer you the flexibility to decorate or finish the inside as you want. Higham Architecture is a specialist in unique, residential architecture, both new homes and additions/alterations. With over 20 years experience and more than 30 design awards, designer Jason Higham prides himself on high quality architectural design and a personalised service to suit each client. Higham Architecture is Lifemark accredited, so Jason can help ensure your home design is accessible, adaptable and safe for your entire family now and in the future. Also certified as a Homestar Practitioner, sustainability aspects are important for Jason. Evidence of the quality of his service can be seen in the fact that almost all new clients approach Higham Architecture via word-of-mouth referrals. While the office is based in Rangiora, Jason is also regularly in Christchurch for site visits, client meetings, etc, so is well positioned to personally service the region. Examples of his work can be seen throughout Christchurch and the greater Canterbury region, including work in Banks Peninsula, West Melton, Templeton, Kaiapoi, West Eyreton, Cheviot, Waikari, and Hanmer Springs, as well as down in Wanaka. Welcome to Designate. We're an architectural design firm offering a range of services to our clients including residential and commercial design, alterations, extensions and documentation. With more than 15 years' experience, our highly skilled, close knit team are able to tackle any project with professionalism and accuracy. 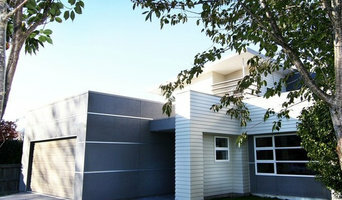 Located in Albany on the North Shore of Auckland, we have projects Auckland wide. After 15 years in the industry, Dwelling Architectural Design began in 2012 with a desire to be more involved with clients in the whole design process, from 3D conceptual stage all the way through to contract administration, ensuring that what was designed is what gets built. My philosophies are as follows:- + Design & Sustainability - Design needs to be tailored for the site, be individual, and relevant to the client. It needs to be scaled correctly, minimising wastage. Materials should be selected with consciousness of their origin and availability. + Thoroughness - In design and documentation. This allows the client to be certain about what they are getting and provides clarity for the contractor in pricing. + Teamwork - During contract administration, I believe in working together towards a common goal. The client, contractor, designer and consultants are on the same team, together working out solutions for the benefit of the client. + Enjoyment - Creating and building is to be enjoyed by all parties, from the client to the sub-contractor. Cathy Wood Limited is Wellington based covering a wide range of domestic and small commercial projects. Work includes interior design and landscaping. Cathy works with a wide range of consultants provide clients with the expertise required to complete a project. This includes budget estimates, water recycling and passive solar design. Working closely with other consultants helps to achieve a quality service from design through to the completion stage of construction. Texture, space and colour are used to produce simple and practical yet elegant solutions for clients. Buildology is an Auckland based team of contemporary design and architectural experts, providing inspiring architectural designs along with a loyal service to guide you through your renovation or new build project, locally or nationwide. Here at Buildology we understand that every client is unique, with a unique site, unique requirements and unique desires. Our passion is to work alongside each client to understand their needs and goals in order to create a unique response to the design issues that enhances their lifestyle. People are influenced by their physical environments. Architecture is the art which combines human behaviour, technology and beauty. The physical elements of a space involves the configuration of space, the use of natural and artificial light and how each element relates to each other. The designers at Buildology understand their ability to modify the individual moods and perceptions of people in space through design decisions. As a result we place the values, needs and preferences of users at the forefront of the design process and are able to help our clients achieve the best for their home and lifestyle.